A cold winter’s night can either be something that is abhored or relished. 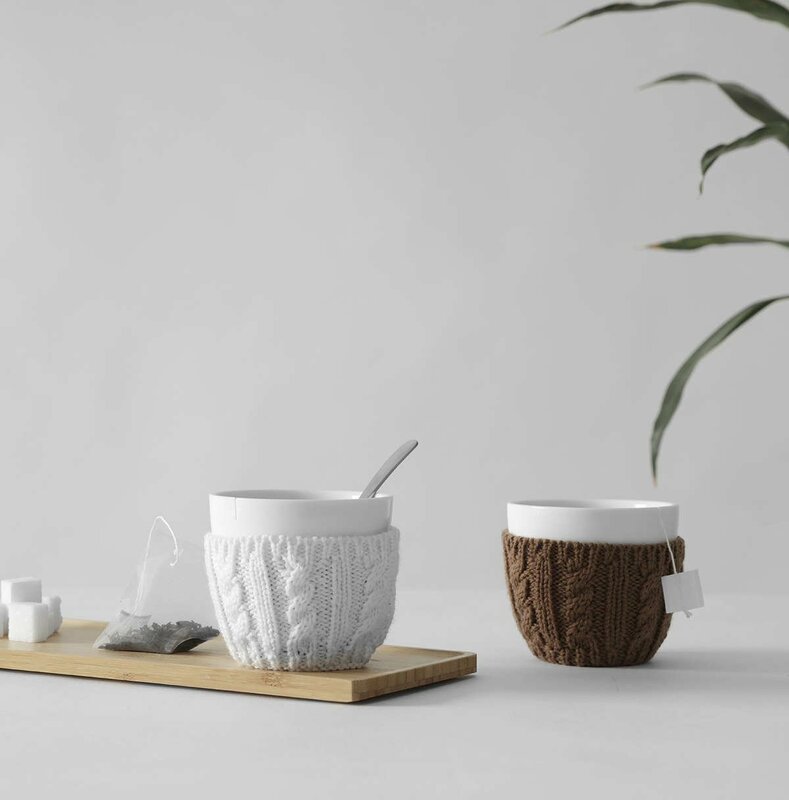 With the Infusion Cosy Mug, you’ll love it when the weather turns as you sip on delicious tea in your ultra snug mug safely indoors. Winter has never been this cosy. Size: L: 8.5 cm - H: 9.2 cm - Vol: 0.30 L / 10.00 fl. oz. Can the wollen cover be removed? 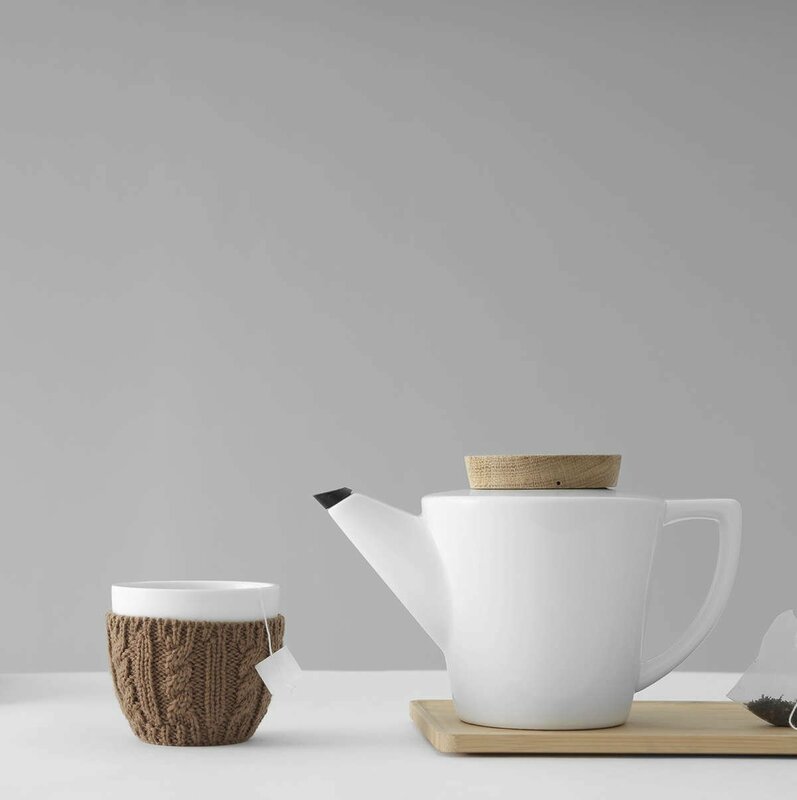 Yes, the knitted woolen wrap simply slides off the bottom of the cup for easy washing. Can the cup be used without the knitted wrap? Yes it can be. 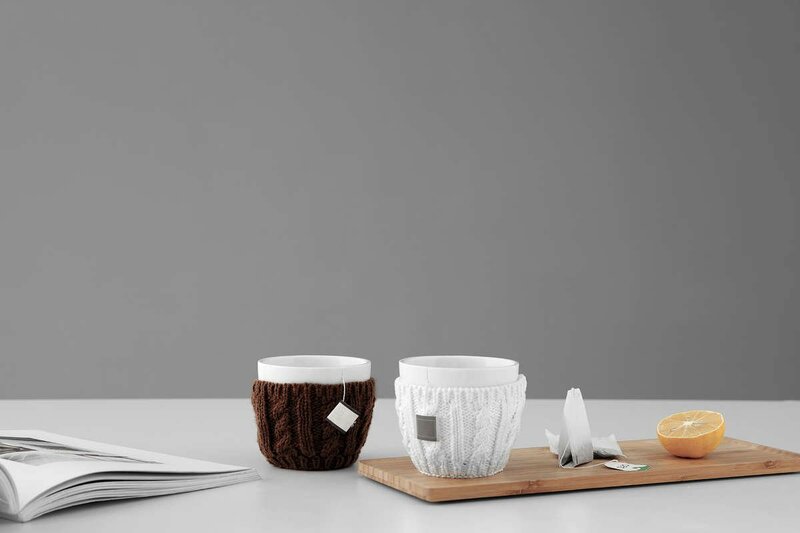 Without the woolen wrap, the Cosy Mug simply becomes a classy, modern mug - perfect for any beverage. Is the woolen part washable? Simply remove and hand-wash to prevent the wool from shrinking or becoming misshapen. What is the cup made of? The cup is made from our high quality Cretasolis porcelain, which is 100% lead and cadmium free. What stops the cup sliding out? The woolen wrap fully encapsulates the bottom of the cup, so there’s no danger of it sliding out the bottom. What is the small slit in the rim for? If you choose to use a teabag, the string can be placed securely into the slit for comfort and convenience.